Both look handy and not footballers if I might say. Martin Solveig wants us all to know why we shouldn’t judge him for asking the world’s best female footballer to twerk at the Ballon d’Or. French DJ Martin Solveig has revealed why he asked a female football star to “twerk” after he received a savage backlash for doing so at a prestigious awards ceremony. What should have been a historic moment in football was ruined when Ada Hegerberg was asked to twerk on stage at the Ballon d’Or in Paris on Tuesday (AEDT). Norwegian Hegerberg, who plays for Olympique Lyonnais in France, won the inaugural award for the best female player in the world, beating out 14 other nominees including Australia’s Sam Kerr. Normally reserved for the men throughout its 62-year history, the 2018 Ballon d’Or finally recognised football’s best women and Hegerberg was rewarded for her outstanding international and club form before the man next to her put a dampener on her big moment. 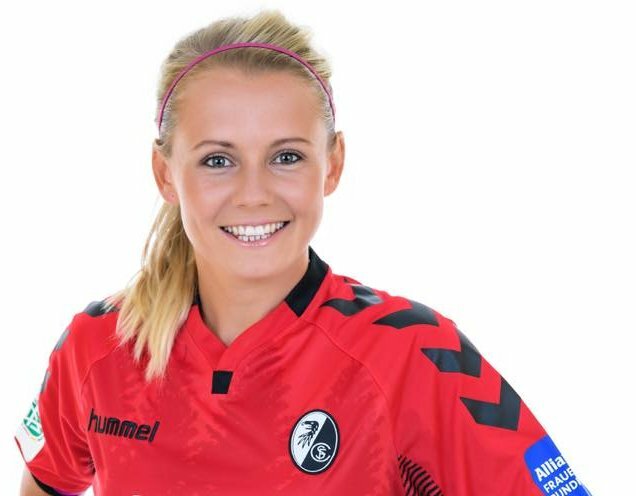 Solveig, who was a guest host at the awards ceremony, asked the 23-year-old striker to twerk after she received her prize. Hegerberg promptly shut him down, saying “no” and turning her back on him. Social media turned on Solveig, forcing the music icon to clarify why he made the request to Hegerbeg in an Instagram post on Wednesday (AEDT), saying it was part of his instructions to prepare a song and dance with each award winner. Pettigrove and Murray were far from the only ones to use colourful language to describe Solveig as people from all around the world got inventive with their vocabulary when thinking of ways to shame him. Solveig posted a video on Twitter after seeing the backlash to his twerking request and apologised, saying he meant no disrespect. In a later tweet he said he apologised to Hederberg, who understood he was only trying to make a joke. so what do you make of that? Is it a storm in a tea cup? Or more serious? Crime student studying serial killers suspected of killing up to six women.